Another activity was building bridges from spaghetti and small pieces of wood. 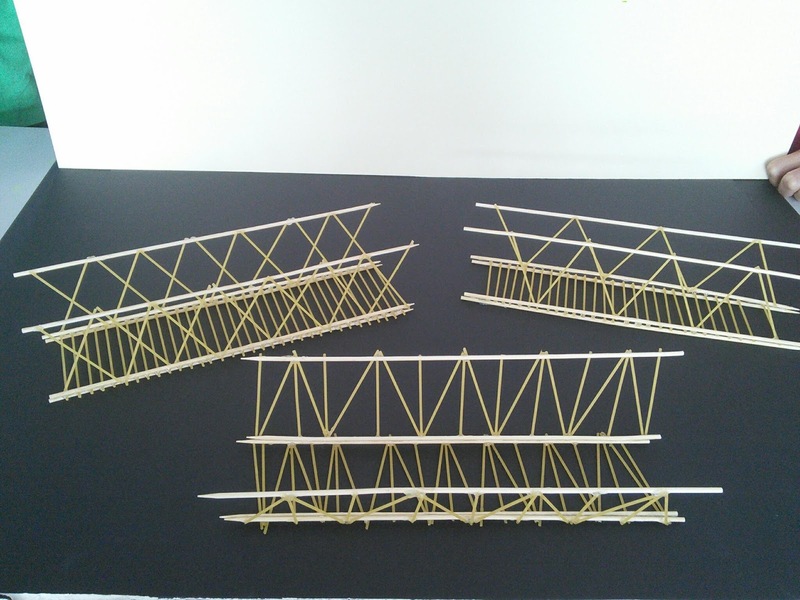 The students had to think about the structure of their bridge to make it as strong as possible. 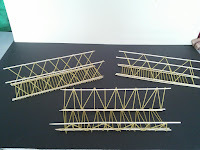 Here are some of the finished bridges! They look absolutely amazing! 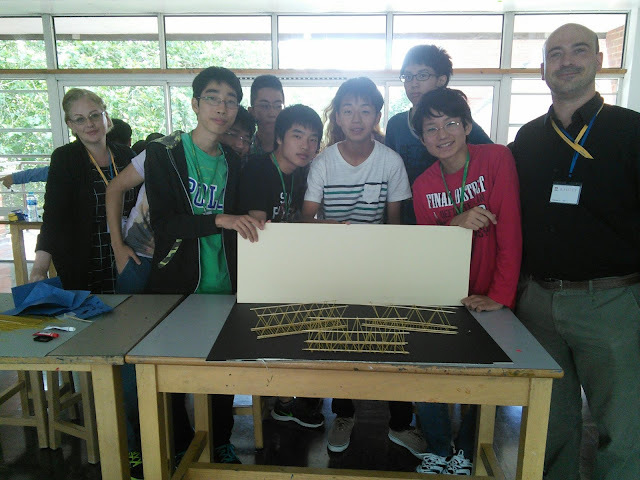 And here are the students with their finished bridges! Everyone worked really hard during this class. 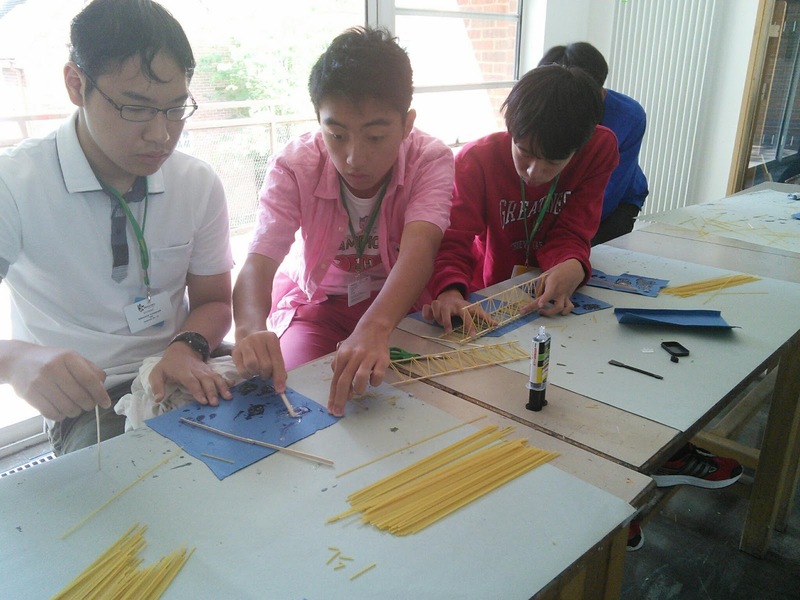 Here is an action shot of the students making their bridges! It looks very complicated!